Heavy, bulky, and awkward mats are no match for this tool! 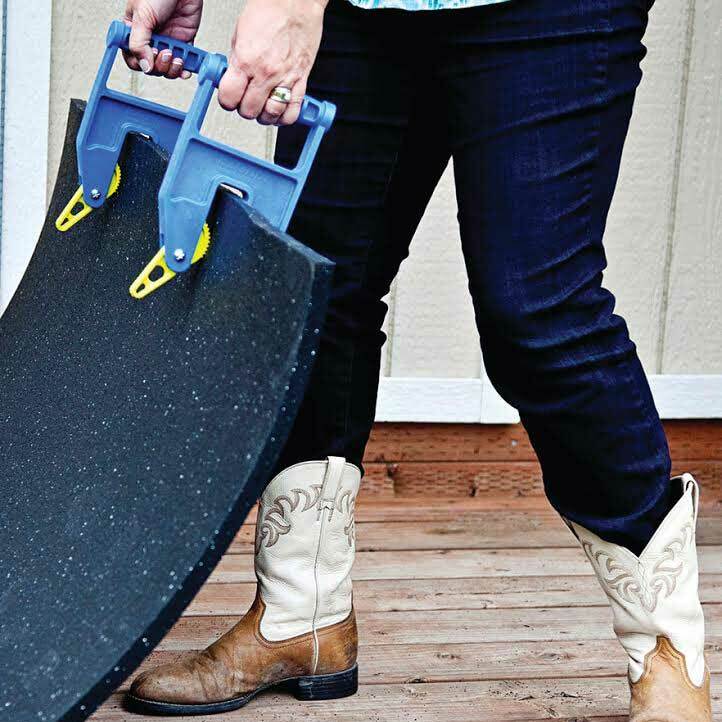 The EZ Grip Mat Movers makes it much easier to grab and move heavy mats around. It is as simple as pushing the EZ Grip onto the mat and pulling the mat to your desired location. The EZ Grip will grab onto the mat until you push the release lever. With the re-engineered teeth, the EZ grip will not let go of the mat, even if it is wet or old. - "The mat movers are great! Four guys put down 200 feet of 8' wide mats down in 2 hours!" - "If you have mats, these are absolutely the best investment you can make! One person can move and maneuver mats - no small fete! Worth every penny!" 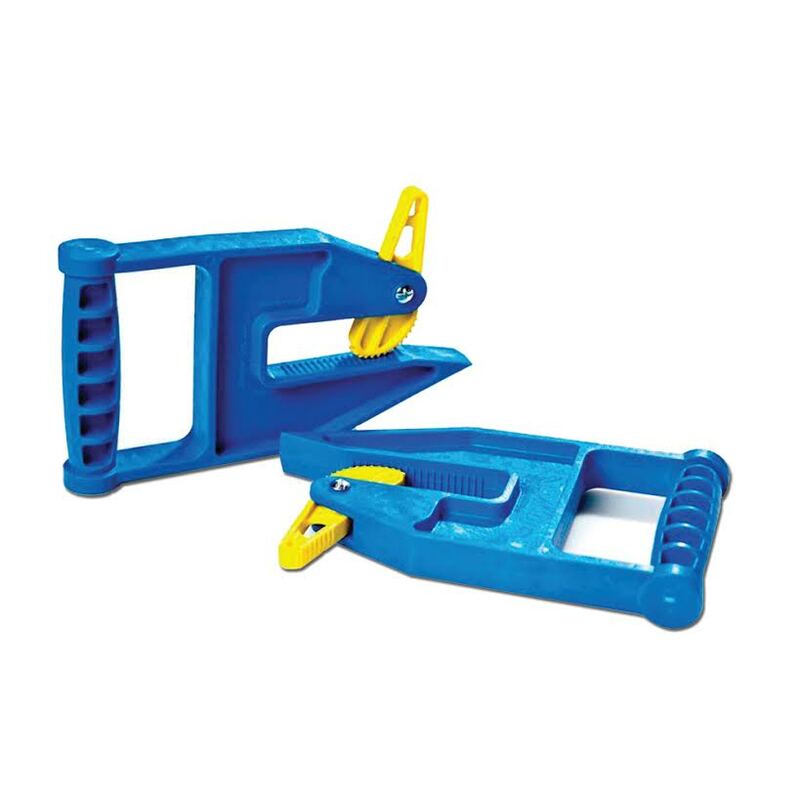 Color: Blue, with yellow spring loaded cam. Compatibility: Self-adjusts to fit mats up to ¾” thick. Rating: Rated to move mats weighing up to 300 lbs.